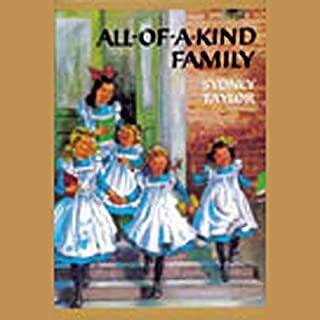 Enjoy the adventures of eleven year-old Portia, who together with her younger brother, Foster, spend a summer with their cousin, Julian, engaged in more than the usual summer pastimes of sun, fun, and games. The three intrepid children soon discover a fascinating abandoned summer resort, consisting of deserted crumbling Victorian summer homes surrounding a vanished lake, which is now a swamp. But, best of all, they discover and befriend an elderly eccentric brother and sister who tell them the story of Gone-Away Lake. ©1957 Elizabeth Enright, copyright renewed 1985 by Nicholas W. Gillham, Oliver Gillham, and Robert Gillham II (P)2003 Listen & Live Audio, Inc.
We listened to this as part of a monthly book club and honestly I'm not sure we would have enjoyed it as much if I'd been the one reading. Certainly there are places where the time of the book comes into play and that did spark a couple of "girls can absolutely do that" comments from me, overall the book was a quick and engaging listen. While the storyteller often had some rather annoying sounding voices I absolutely commend her for the ability to distinguish and handle so many different characters. My daughter and I loved this book. It was a wonderful relaxing summer adventure. We wanted to be those children! This is a book that loves children! It's a charming story filled with a delightful adventure. My children loved this book. We look forward to the sequel. This book was part of our history curriculum, but I don't see how it added any value. 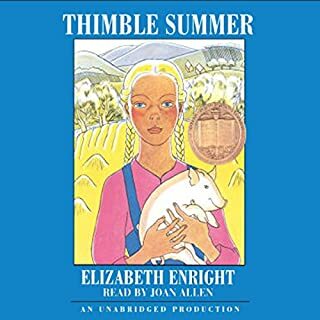 Much like her other book "Thimble Summer", it was an easy going story. There wasn't a lot of relevant information, it didn't even seem to represent life at the time. A very dull story. I'm sorry I wasted my Audible credit on it. Just as wonderful as my memory of it! This was one of my favorite books when I was young. It filled me with a sense of adventure, a desire to explore my environment and the belief that magical, wonderful things can happen at any time. 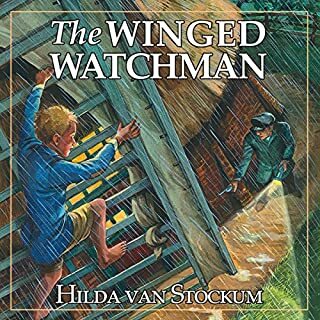 As an adult I realize that this story also gave me a healthy dose of lessons in work ethic, gratitude, kindness, courage and empathy. 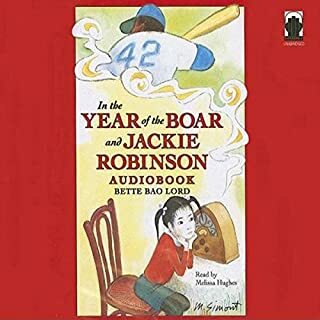 My 5 kids and I (ages 6-11, both boys and girls) listened to this audio recording together and they related to it every bit as much as I hoped they would. Every time we climbed into the car (where 98% of our book listening happens) they immediately asked me to "turn the book on!" and they sighed with disappointment when we had no more to listen to (until I told them there is a sequel!). 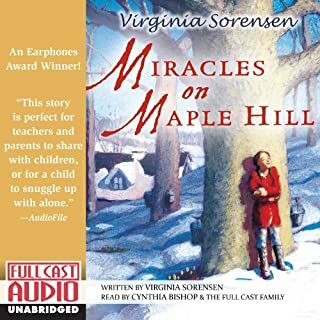 Colleen Delaney is an excellent narrator, able to do convincing voices for each character without taking you out of the story and an easy-going lilt that just sounds friendly. You will be swept up in the scene descriptions and fall in love with Pinder and Minnehaha, Julian and Portia and all of the other well-imagined friends. Listen to this book!!!! And then go and get a copy so you can read it to yourself and enjoy the pen and ink illustrations. 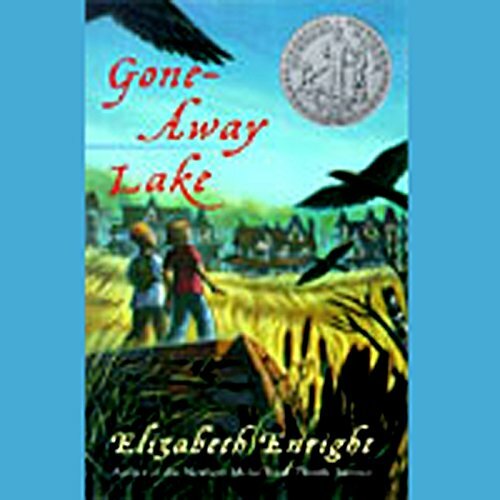 Gone-Away Lake is a classic. Loved it! I absolutely loved the story! It was a lovely book and I didn't want to here the last chapter because I didn't want to end the book! I loved how you never really new what was going to happen and some parts where suspenseful. I liked how there were smaller story's in the big story! I would definitely recommend it! I listened to it when I was sick and it totally lightened my mood! Love it! This is a children's book that adults will enjoy as well. 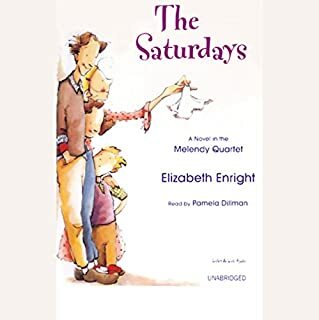 Enright has an observant eye and ear for authentic children's speech and experience, making for a story that is cheerful and yes, escapist, but will make the listener wish he or she could have such adventures. This is a good book for a family car trip. The narrator is excellent. This was really lame. Nothing happens except the kids meet some old people who tell them how great everthing used to be, and how kids today have pathetic lives. And this book was written in the 50's. The narrator gives a real overacted, emotional reading. NO plot, no interesting characters, just a lot of meandering. My only regret is that I didn't have the luck to read this as a child. I know how much I'd have loved it. Never mind, I've read it as an old lady and brother, what fun! It could be considered anodyne in that nothing bad happens and everyone is lovely but she does it so well that that doesn't bother me. In the future when I'm ill or down, this is the book for me. I also loved the the narration by Colleen Delany. She brought the characters to life in all their quirkiness.